After almost 20 years of parenting coupled with a passion for reading we have accumulated quite a library. I am constantly trying to part with books to make room for new ones. When we moved I REALLY got serious about only saving our favorites. When I glanced at our box of Christmas books this week I decided to pull out the best of the best. I want to share these with you. 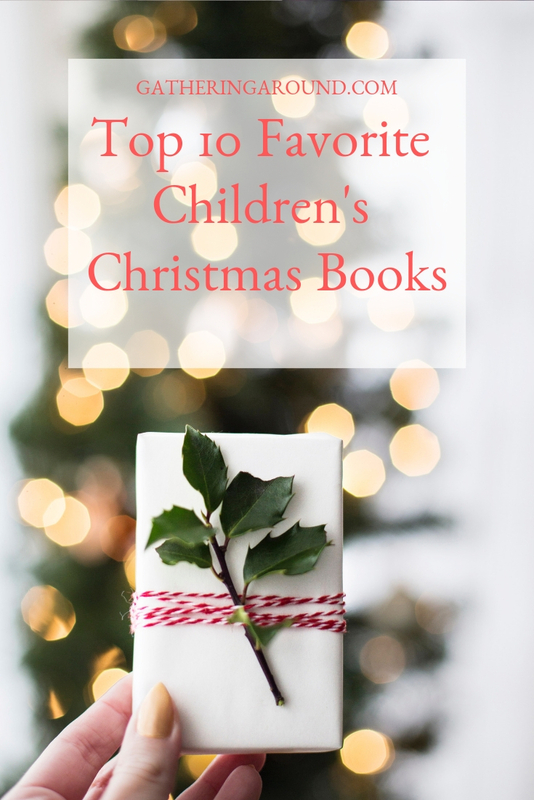 These books are some that have been celebrated by both our boys and our girls. I tried to included the books that I thought they loved because they asked for them over and over AND the books that they say are their favorites. Many a peaceful December day has found us cuddled up under a blanket re-reading one of these books. We hope they are just as much a blessing to you as they are to us. A Little House Christmas This is a collection of 8 different books. We look forward to these stories every single year. These are longer stories and might not hold the attention of littles. The Berenstain Bears and the Joy of Giving The bears are very excited about their own gifts and forget to consider the other bears. They learn a valuable lesson. Corduroy’s Christmas Christmas is arriving and Corduroy is getting ready. He and all his friends join in and participate in some of the best parts of the holidays. We love these illustrations. This one is appropriate for little folks. Older kids might not enjoy it quite so much. Santa Come to Little House (by Laura Ingalls Wilder) This is my personal favorite! I love the illustrations and the story where Mr. Edwards saves Christmas. I can’t wait to read this again! The Berenstain Bear’s Christmas Tree This would probably be the one my kids would say is their favorite. The bears learn the true meaning of Christmas. We have read this one so many times that the cover is worn thin. The story is long but the cadence of the book and the bright illustrations hold attention like few others. God Gave Us Christmas Is a sweet story about a momma polar bear who takes a special journey with her little bear who learns about celebrating Christmas. Countdown to Christmas this book is for younger kiddos. It has flaps and lots of counting options. There are lots of interactive possibilities. Amelia Bedelia and the Christmas List that silly Amelia is at it again. She take the family list and gets into all sorts of messes with her interpretation. She is a funny gal. But to be fair to my family I have to say that at least one time a Christmas Taylor reads the poem “Twas the Night Before Christmas.” We now all try to see how much we can say as he reads it! We have really enjoyed these stories over the years…and this 10 will stay with us through our grandchildren! I look forward to reading them again and again and again. Books truly make wonderful gifts. They are a gift that keep on giving. I have some books that I have been given for Christmas decades ago that are truly treasures to me. Little Women was a gift. I am re-reading it now. I lost count on how many times I have read it. Its words and illustrations still touch my heart. A great book warms the heart and becomes a treasured friend. If you are looking for more ideas to help your family have a peaceful holiday be sure to follow us on Facebook and Instagram. We will be sharing more and more ideas! Don’t miss a single new post, sign up here!